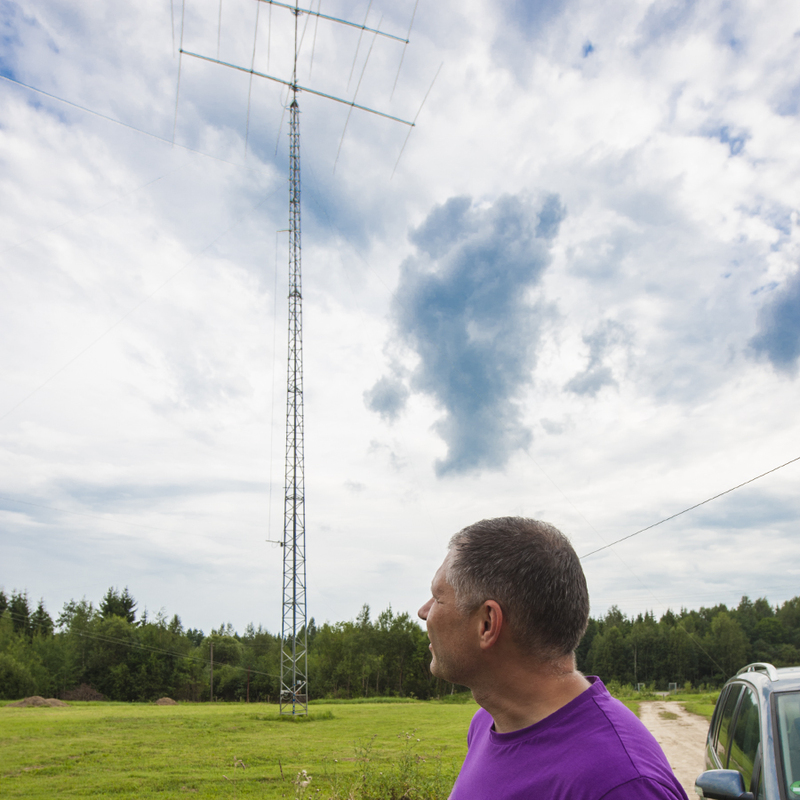 In the past twenty years, a new, informal club of Amateur Radio operators has emerged and grown into an international ring of devotees of the WRTC games. World Radiosport Team Championship was initiated almost 30 years ago in Seattle, Washington, USA. This event was quite modest and rather an experiment. Six years later, the first full-sized competition was conducted in San Francisco, CA area. The big boost for the idea of comparing contesting skills in one place occurred in Slovenia in year 2000. 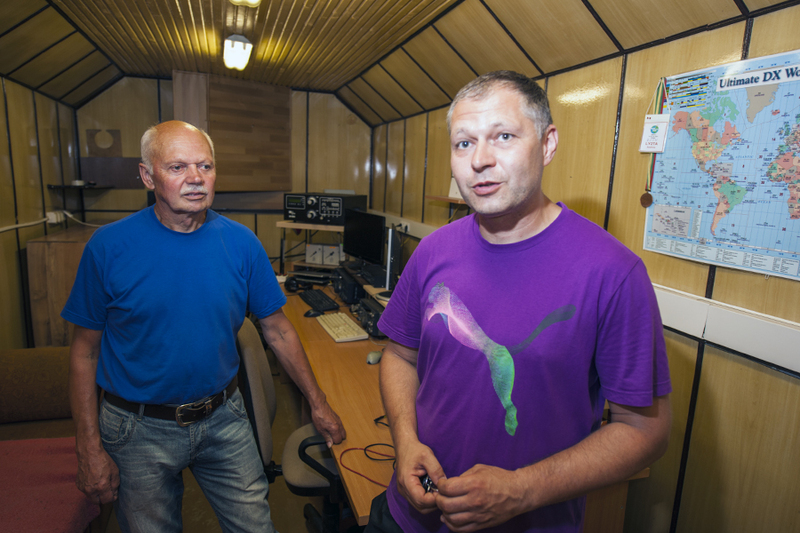 Massive support from the IARU and the Slovenian authorities created a successful encounter that inspired other nations to follow in their steps. Two years later, the contesters of Finland, who were very active at this time, staged a huge gathering combining the games with the national Field Day. Successive WRTC events took place in Brazil, Russia, Boston, MA and, this year, in Germany. There are a few hundreds of close followers who attend these games as participants, referees, organizers, supporters and fans. Then, there are thousands of radio operators who never go there but watch the competition and support the participants on the air. While visiting the Lithuanian Hamfest 2018, two weeks after the WRTC2018, at the end of July, I met a few WRTC fanatics. One of them is Andrius, LY7Z. 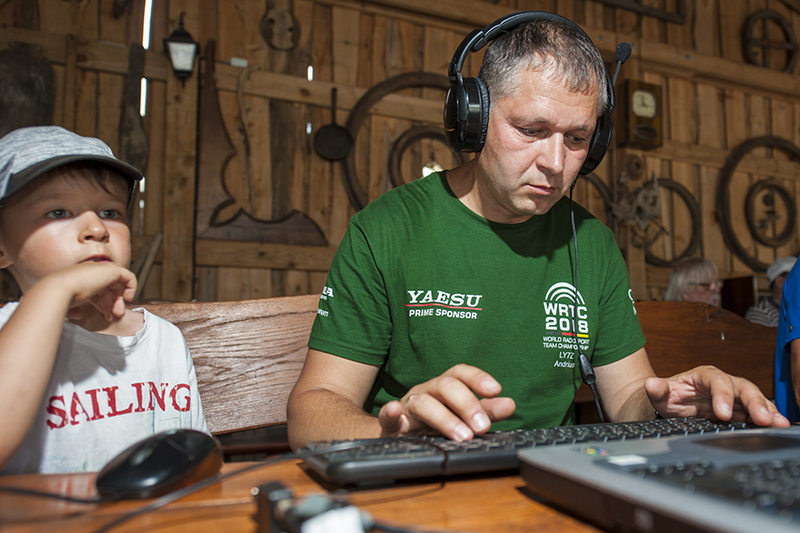 Andrius, LY7Z, during the LRMD 2018 Lithuanian Hamfest could not refrain from testing his skills in the Morse Runner try-out. His young son Rokkas was with his all the time. A presentation of the WRTC2018 from the point of view of a referee given by Andrius, LY7Z, during the LRMD 2018 Hamfest. Other WRTC referees present were Rich, K1CC and Wes, SP4Z, also wearing the official dark-green WRTC2018 shirts. After the Hamfest, I drove to Kursenai, a small municipality not far from the 2018 Hamfest site. This is the home and home station of Jurgis, LY2CY/LY9Y, who is the father of Andrius, LY7Z. They used to share this station, but now Andrius lives a few kilometres away. Left: Andrius, LY7Z, right: Jurgis, LY9Y. The contest station of the father-and-son team is about 5 miles/8 km west from town. 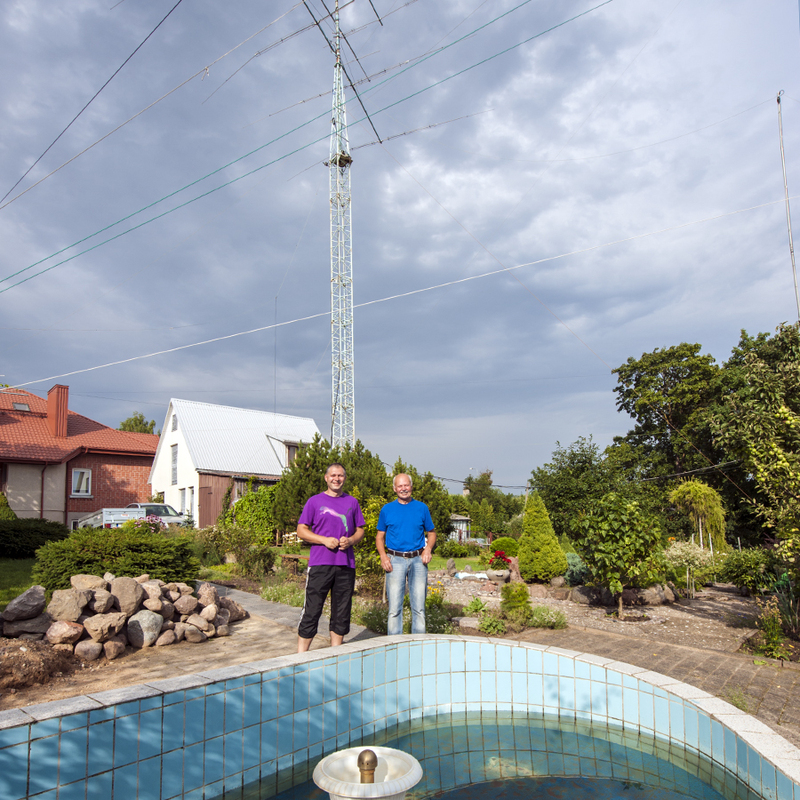 This is one of the home-made towers and DIY antennas at this quiet location. Andrius, LY7Z, is 44 years old now. His interest in radio actually started when he was 10 years old. He learned the code and at the age of 12 he became a regular visitor to the local club station with the call sign UP1BYC. 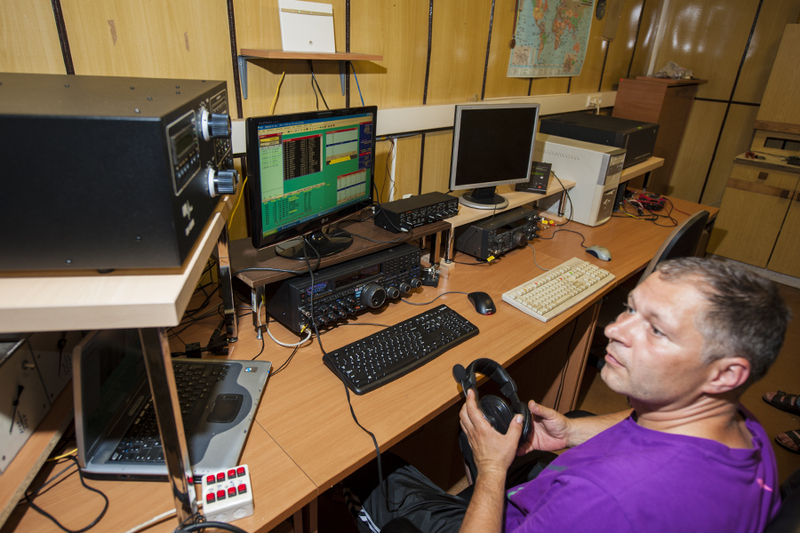 After two more years, Andrius passed the tests and received the call sign UP2BTA, later changed to UP2TA. Even his sister was interested in Amateur Radio and they both participated in contests at the club as early as 1987. 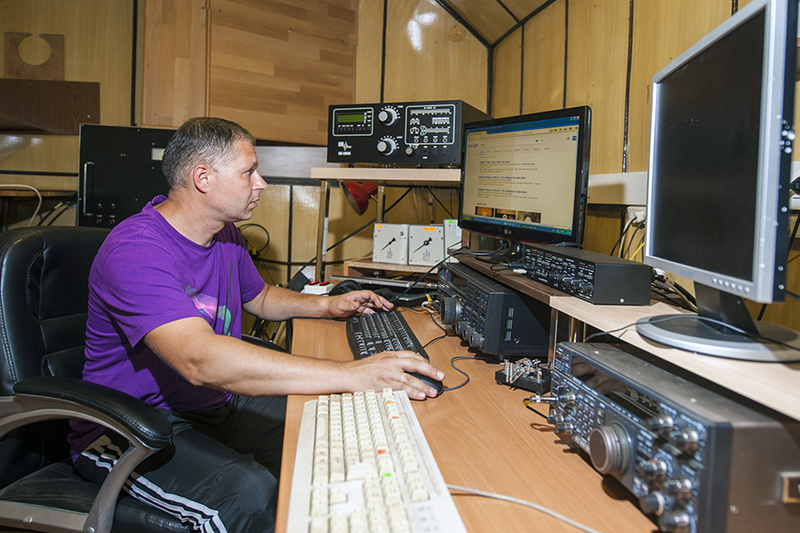 Andrius, LY7Z, is actually licensed as LY2TA, the short LY7Z call sign is used in contests only. Lithuania changed the prefix UP to LY in the beginning of the 1990s. 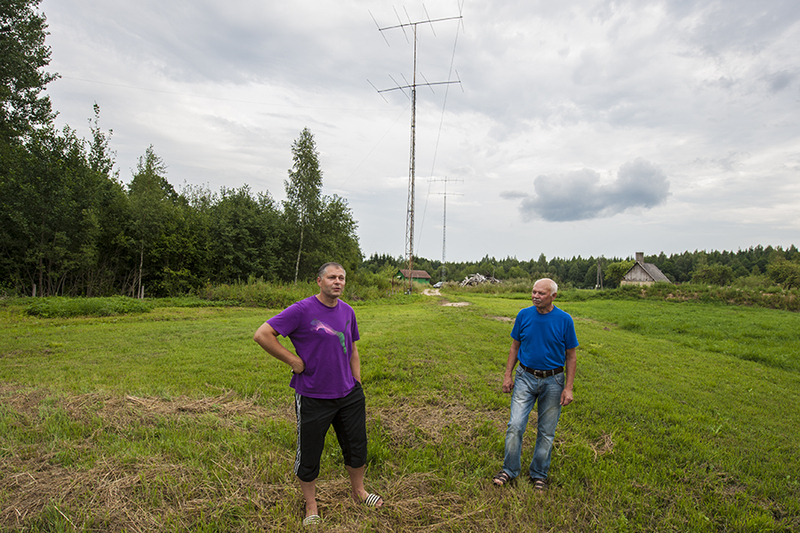 The contest station of LY9Y/LY7Z is arranged for two operators. Their first commercially made transceiver was a TenTec purchased in 1996. Father and son, LY9Y (right) and LY7Z (left). They started building this contest station in year 2000. There are three towers now, but some of them had to be moved because of a dispute with a neighbour. They both have travelled on contest expeditions in recent years. No plans right now for any trips, most likely Andrius will focus on scoring well in the coming contests so that he can again compete in the WRTC. The next games will take place in Italy in year 2022. First time I met Andrius it was in Finland during the WRTC2002. Here he is watching the opening ceremony, sitting next to Doug, N6RT and Andy, N2NT. 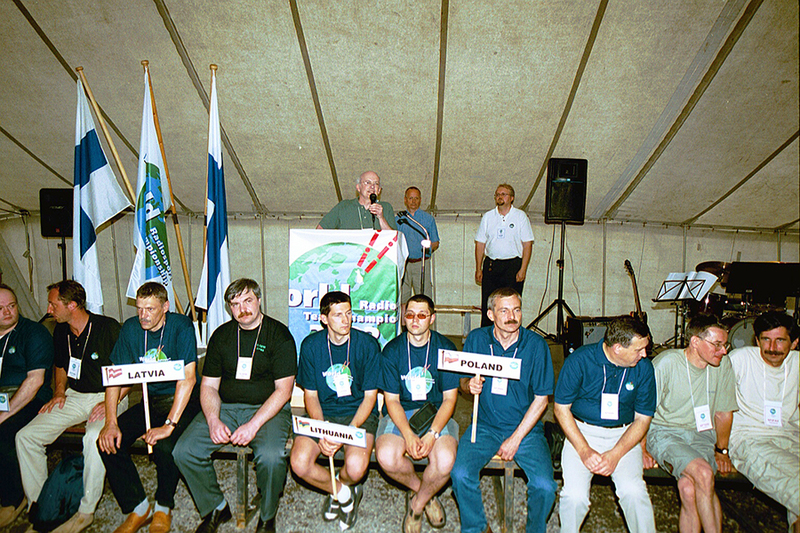 The Lithuanian team at WRTC 2002 in the centre - Dainius, LY1DS and Andrius, LY2TA (now also LY7Z). Dave, K1ZZ, from the IARU at the microphone. Andrius was then 28 years old and it was his first time at the WRTC. Since then he has attended WRTC every time. In 2006 in Florianopolis, Brazil, he was competing together with is father LY2CY using the call sign PT5W. In 2010 in Moscow, again with his father, using the call sign R36C. In both 2014 in Boston, MA and in 2018 in Germany, Andrius was a referee. He is addicted to the WRTC and I am sure with his skills and ambitions, he will qualify for the WRTC2022 in Italy. In the meantime, his son Rokkas will most likely get a call sign of his own. Like his father, like his grandfather.